A pair of large male Cuttlefish seen off the beach at Babbacombe. Each season these attractive common cuttlefish move in to the shallows to breed and lay their eggs amongst the weed. 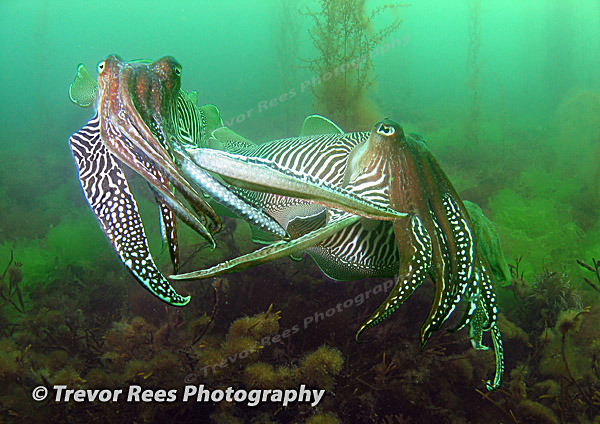 This Cuttlefish image managed 2nd place in a BSoUP print competition and was commended in the 2008 BUIF festival.